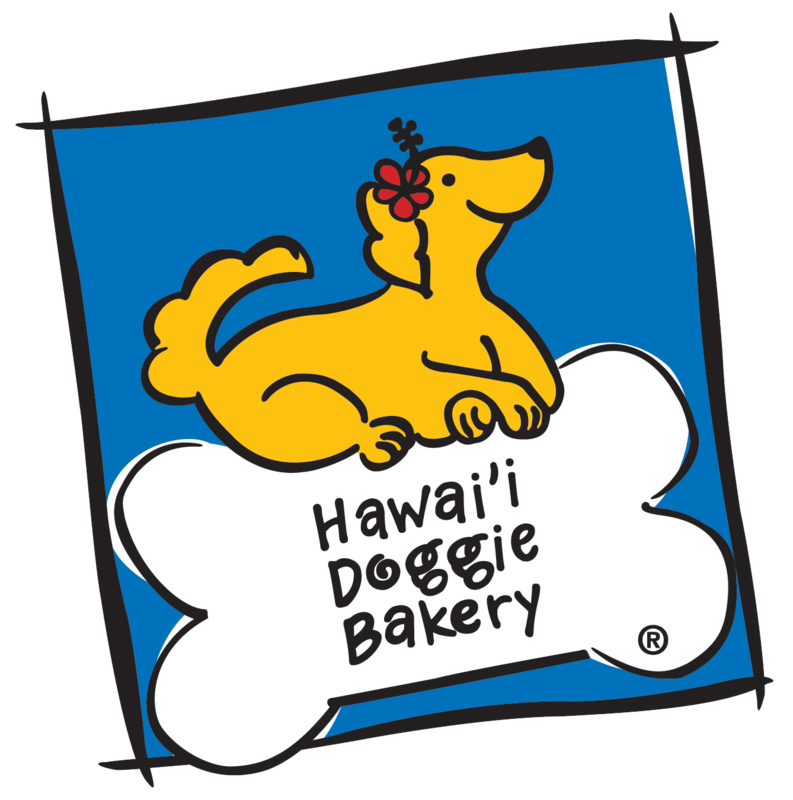 On behalf of the entire Hawaii Doggie Bakery Team, we wanted to say thank you so much to everyone who came out to our Doggie Scavenger Hunt! We had a paw-tastic turnout of 20 Teams with 34 Doggie Team Members! 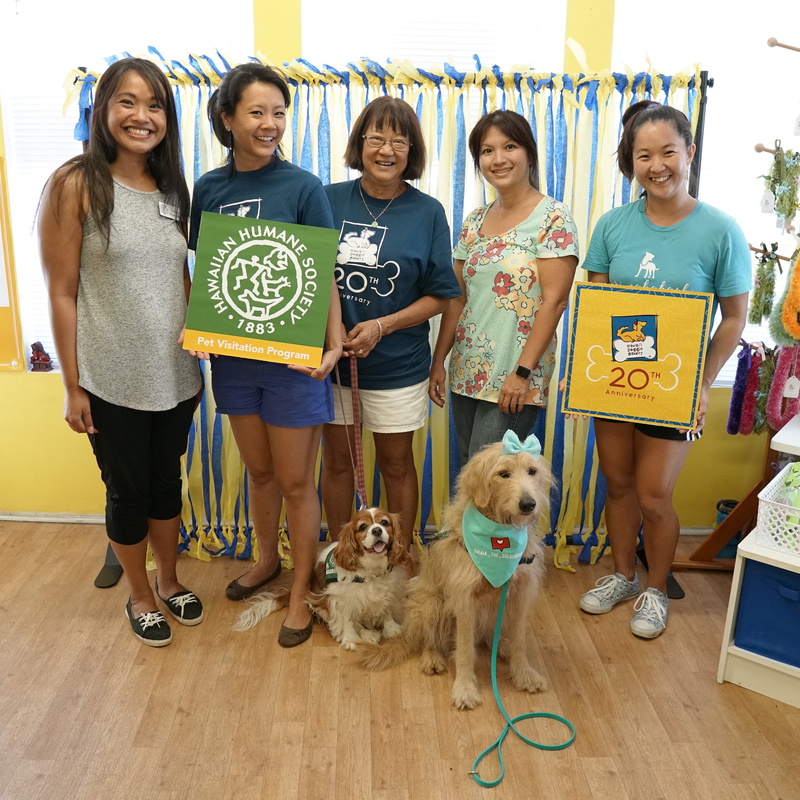 We were so thrilled to see so much enthusiasm for the event and the program this event was in honor of: the Hawaiian Humane Society’s Pet Visitation Program. We were especially surprised and blown away by the Teams that took it to the next level with matching team shirts and themed costumes! Sharon, the Volunteer and Outreach Coordinator from the Hawaiian Humane Society. If today’s information about the Pet Visitation Program peaked your interest and you’d like to learn more (or even sign up!) Sharon is the one who can help you out! Our Joy Ambassador Teams: Kristine and Kaia, Mike & Mikie, Gina & Kanoe and Joanne (our Mom!) and Ini. We appreciate them volunteering their Saturday morning, sharing their stories and spreading word about the pawesome program they participate in! Last but not least, our friend Keri, Keri Nakahashi Photographywho volunteered her time and talents in taking Team Photos. Keri will be posting/e-mailing the photos sometime next week. We are very excited to share that thanks to all of you, we raised $652 for the Hawaiian Humane Society’s Pet Visitation Program!! This brings us well over halfway to our goal of $1,200. A BIG MAHALO to all!!!! And now the moment you’ve all been waiting for…the Winners of our Doggie Scavenger Hunt! We spent all day tallying up the points (checking answers and double checking our math!) and to our surprise, even with social media bonus points AND on-site surprise bonus points there was a TIE! KATIE’S TEAM: KATIE, RUSS, SUE, MONKEY & MIA! Both Teams scored a perfect: answering all the Pet Visitation Team questions & completing all doggie tasks, all the photos in the Photo Hunt, and they also got the same amount of Bonus points! Congratulations to our winners (your prize baskets may be picked up from Hawaii Doggie Bakery starting Monday! ), and a huge congrats to ALL participants. We are so grateful to everyone who came out to our fundraiser and we hope to see you and your pups again soon! Have some fun with your dog, learn about the Hawaiian Humane Society’s Pet Visitation Program and help us raise money for the cause! Solve clues, complete photo challenges and search for hidden Pet Visitation Teams for points in our Doggie Scavenger Hunt! This fun event is part of our 20th Anniversary Giving Back campaign to spread the word and raise money for this pawesome program. Sign up as a team: Teams are a minimum of 2 people and 1 dog*, and maximum 6 people and 4 dogs. *If your dog is not well behaved enough for our Doggie Scavenger Hunt but you still want to participate, you can bring a stuffed animal, photo or cardboard cutout of your dog! 🙂 You will be at a disadvantage for some of the dog-specific tasks, but you will still have fun, we promise! PRE-REGISTRATION IS NOW CLOSED. You can still participate on June 30, the last change to go through the Hunt will be to begin 11am. Pre-register via the form below. 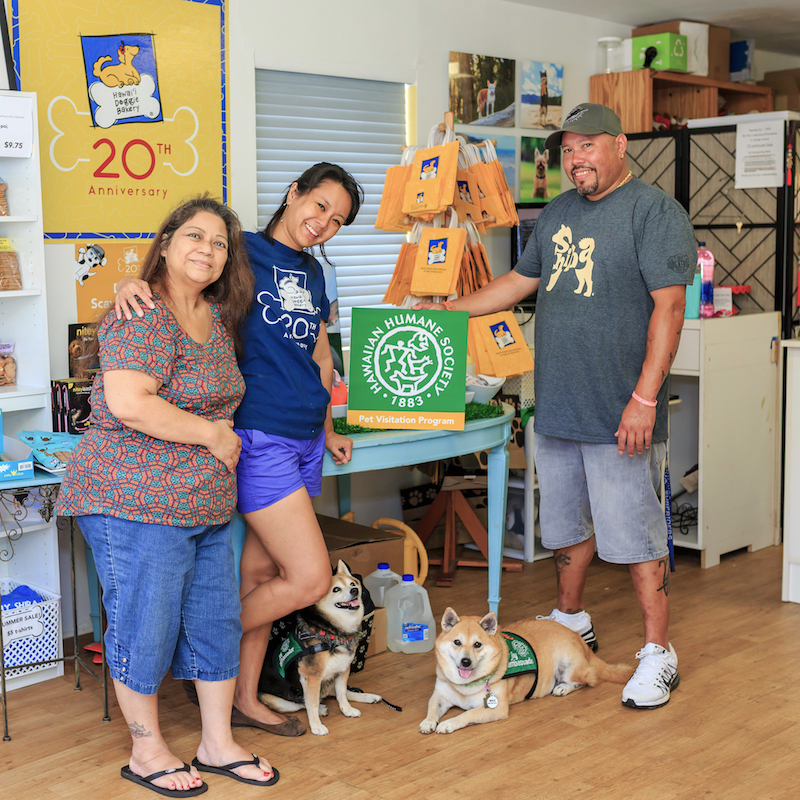 All teams who register in advance will get a Mahalo goodie bag (1 bag per dog)! Deadline to sign up is June 25. The team with the most points will win a gift basket full of pawesome prizes!! All dogs must be leashed at all times, and be well-behaved. All teams need at least 1 smartphone or camera. I wish I had known about this event. Le’a and I are long time Joy Ambassador visitation team. This would have been fun. Next year? We would love to have you come to our next event! We are joining HHS’s hiking event at Manoa and coming after. Hope it is not late to join the event! What a FUN day!! Yes, you should be good to do both. The latest you can start the Hunt is 11:00am. Leonard Chong registered, but we did not get a confirmation. How do we know you got the registration for our team? Pohaku and company. Hi Debbie! Our deepest apawlogies, we do not see any registration under the Team Leader name Leonard Chong. Could you please have him resubmit? Mahalo!